Traditional men’s jewelry brings such a detail to the utility of work wear and allows so much more play in the wardrobe, so why not add it into the jewelry collections for women. 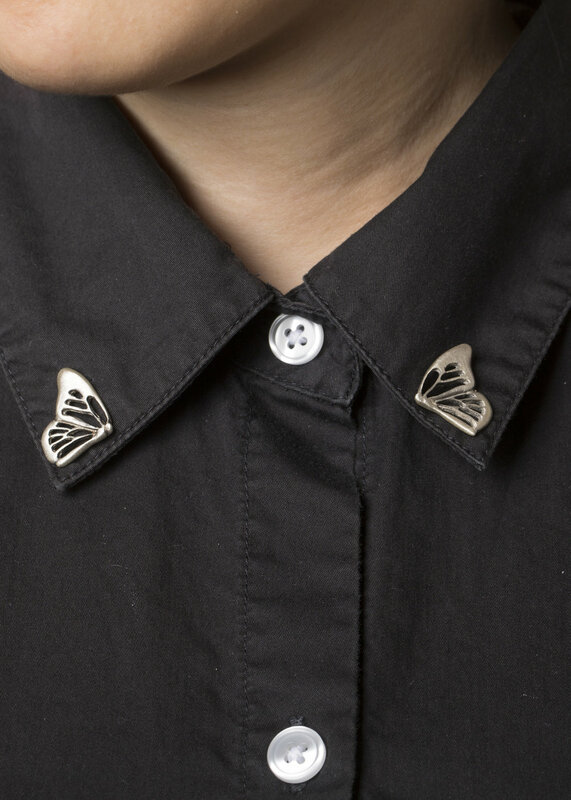 Symmetrical accents such as butterfly wings bring a feminine twist to masculine wear. Add to collars on button up shirts, jacket lapels, hats, and more. Designed and inspired after the monarch butterfly, specifically the female butterfly as the veins in her wings are thicker. I use open metal work in the monarch to convey airiness and flight of the butterfly.